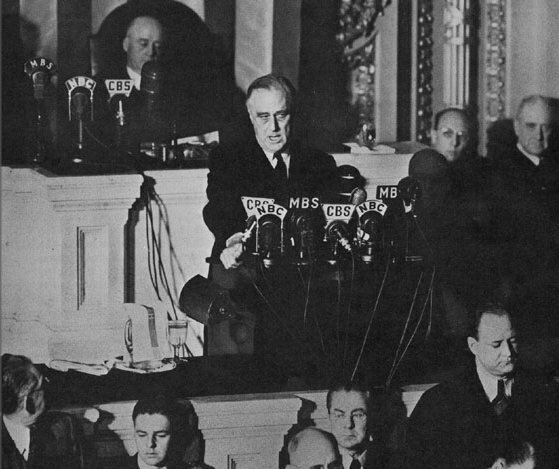 President Franklin D. Roosevelt addresses Congress after the Japanese attack on Pearl Harbor in Dec. 1941. Site created by Peter K. Parides. Last updated 5/1/99.